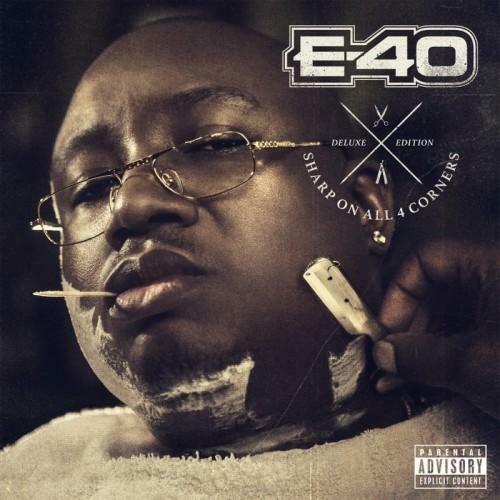 E-40 goes tougher than a three-dollar steak on a new album single. A lot of rappers are lucky to release an album every two years. E-40 just dropped two in one day. The hardest working man in hip-hop (except for maybe Gucci Mane) returns to our front page today with "Money Sack." The record finds 40 Water linking up with the former Lil Boosie (current Boosie Badazz) for a slapper that's bound to please fans of the emcee's more radio-friendly hyphy singles. Feeling it? Well, you'll be happy to know that there's at least a handful of similarly top-notch tracks on any one of E-40's epic Sharp On All Four Corners LPs is now in stores.